“Pressing into the Wall of Darkness”, oil on gallery wrapped canvas, 20″ x 16″, April 6, 2012, by Diana Mae Potts. I was thinking of what the Chinese people who press for freedom in their country are up against. China is a country with a very beautiful and profound culture. 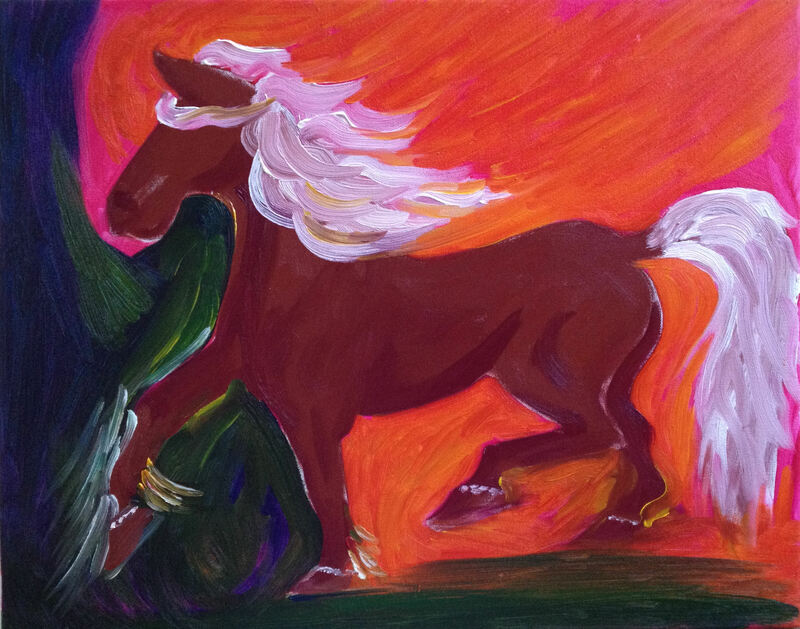 The bright reds around the horse is that culture and it is pushing into the current darkness it faces. This was made as a powerful use of artistic performance during its creation to bring movement for the spirit of the nation and her people.